Disney's famous power couple helps keep your attire together! 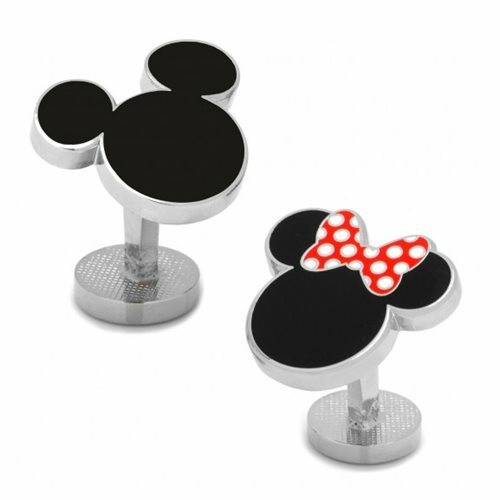 These Mickey Mouse and Minnie Mouse Cufflinks feature the famous Disney mouse silhouette - one for Mickey and one with a polka-dot bow for Minnie. Mickey and Minnie fans would love 'em!